How many times will the Taoiseach and the Justice Minister be forced to express confidence in the Garda Commissioner before that confidence evaporates? It's a monthly occurrence now. A Garda scandal hits the headlines, opposition politicians loudly call for her head and a senior member of Government steps forward to publicly defend Nóirín O'Sullivan. Last month, Enda Kenny insisted he had "full confidence" in Ms O'Sullivan in the wake of the Maurice McCabe scandal, a crisis so serious that it nearly cost him his own job and led to the establishment of a tribunal. Yesterday, Mr Kenny again assured the public that he has confidence in the Garda Commissioner, after it was revealed that five years of motoring statistics were entirely bogus. Incredibly, it has now transpired the number of breathalyser tests performed by gardaí was exaggerated to the tune of one million, while 14,700 people were wrongly convicted of motoring offences. "I have confidence in the Commissioner but it's an opportunity for the Commissioner to set out all of the facts relevant to these particular problems which are very serious," said Mr Kenny. This statement begs an important question. How can the Taoiseach express confidence in the Garda Commissioner if he doesn't already have the full facts? How can he be sure that Ms O'Sullivan doesn't bear some responsibility for this latest fiasco if he doesn't know precisely what caused it? Mr Kenny's blithe remark is an admission the Government doesn't have the first clue who or what is to blame for monumental errors in Garda record-keeping, but is nonetheless content to let Ms O'Sullivan continue in her job. The eagerness of the Government to save the skin of the Commissioner looks increasingly suspect. Its endorsement is not a reflection of its confidence in her performance, but rather a cynical act of self-interest. 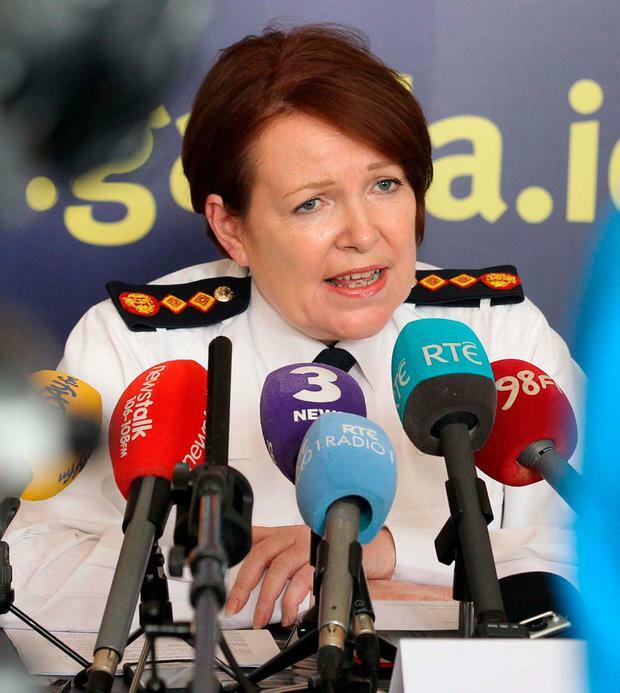 Fearful that the loss of a second Garda Commissioner in just three years would fatally destabilise their weak minority coalition, ministers are content to leave Ms O'Sullivan in situ - as crises mount up around her. Nobody in Government is willing to state it, but it is clear that gross inflation of breathalyser test numbers was not some unfortunate mistake. It was Garda policy. There is no other credible explanation for the fact that nearly one million false results were logged in every single Garda division over a five-year period. Alarmingly, in a statement on Saturday, Ms O'Sullivan downgraded the wholesale falsifying of tests to mere "discrepancies" that were "found in an internal investigation". Well, actually, those "discrepancies" were not discovered in any internal investigation. They were pointed out to gardaí in 2014 by the Medical Bureau of Road Safety, which was a bit perplexed by the fact the purported number of tests greatly exceeded the number of kits it had issued. Other than a 'loaves and fishes'-type miracle, there was no way that gardaí could have been obtaining so many test results. What did senior Garda management do with this explosive information? Precisely nothing. There was no interest in uncovering what was going on. The fake readings continued. It wasn't until after the Medical Bureau of Road Safety, presumably aghast that it had been ignored, made a more formal complaint that an internal audit was commenced in late 2015, some 13 months later. Even after this step was grudgingly taken, Garda efforts to conceal and downplay the endemic nature of the problem continued. No-one in Garda HQ, least of all the Commissioner, thought to inform the Policing Authority the audit was taking place. Instead the watchdog tasked with providing oversight of policing services was left in the dark. Its members learned of the audit last week in media reports. This is perhaps the most damning aspect of this new controversy for Ms O'Sullivan. Since it was established at the start of 2016, senior members of An Garda Síochána have met on numerous occasions with the Policing Authority, in both public and private sessions, and never once mentioned that an inquiry into false readings had been launched. This is not an oversight or omission that Ms O'Sullivan can blame on her predecessor. She owns this - it happened on her watch. The implications of this culture of Omerta extend far wider than just a loss of trust in motor crime enforcement. It erodes public faith in the ability of the Policing Authority to do its job. How is a watchdog supposed to have oversight over a problem that it doesn't know exists? How many other problems in the force have senior gardaí decided to keep to themselves? At a hastily convened press conference yesterday, Deputy Commissioner John Twomey said the Policing Authority had not been informed that nearly 15,000 people were wrongfully convicted of motoring offences because of an "administrative error". That was the best excuse he could muster. Meanwhile, Ms O'Sullivan vowed gardaí would "get to the bottom" of the problem, which would be great, if they hadn't been aware of it for years and content to do nothing. This zeal to get to the bottom of the fiasco wasn't in evidence when the matter was first brought to garda attention in 2014 or when the issue of wrongful arrests was first discovered. It was only when the scandal was made public, and politicians began exerting pressure, that senior gardaí began to treat this problem with the seriousness that it deserves. The Garda Commissioner talks a good game - peppering her statements with references to "radical restructuring" and "cultural reform" - but she has failed to deliver. The fact she will soon have to defend herself in front of a tribunal of inquiry, investigating the smearing of Sgt McCabe, makes her position even more untenable. Under the provisions of the Garda Síochána Act 2015, the Government can remove the Commissioner if her "removal from office would, in the Government's opinion, be in the best interests of the Garda Síochána". That time has surely come. Gardaí need new leadership at the top from those whose commitment to accountability and transparency is evidenced by deeds, not just words.